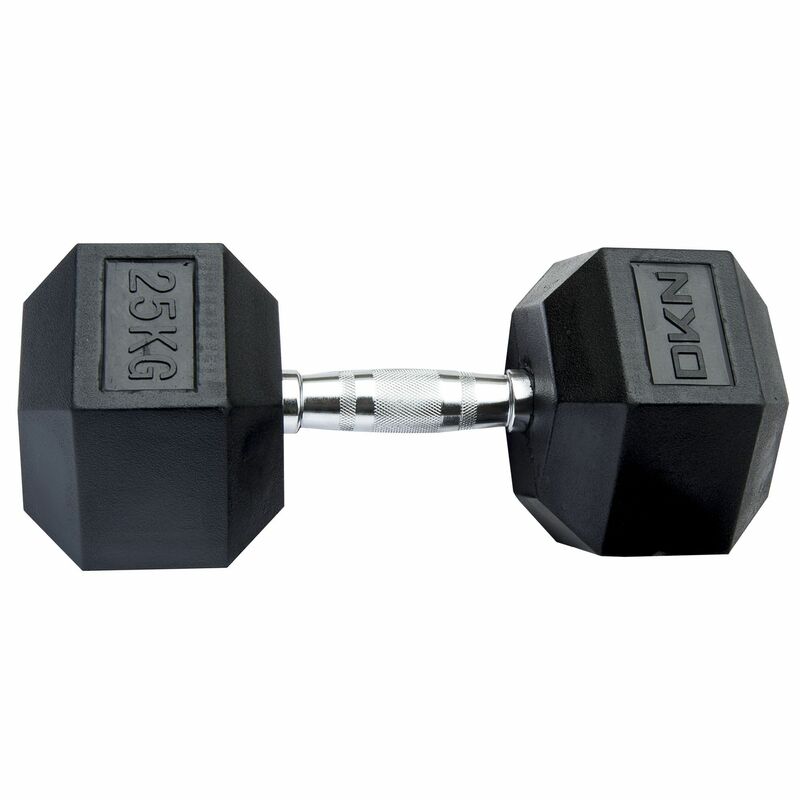 for submitting product information about DKN Rubber Hex Dumbbells We aim to answer all questions within 2-3 days. for submitting product information about DKN Rubber Hex Dumbbells. We aim to answer all questions within 2-3 days. If you provided your name and email address, we will email you as soon as the answer is published. 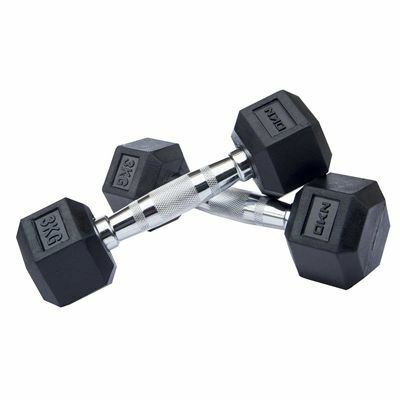 Does this come with 2 dumbbells? It depends what you choose, there is several options. Please open the drop-down menu to see options. The DKN Rubber Hex Dumbbells were extremely good quality. 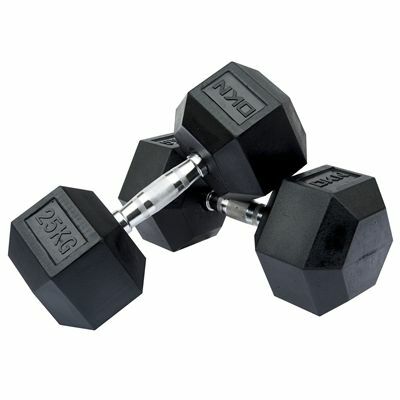 I would highly recommend them and will definitely purchase some heavier weights once my arms allow it! Good well made dumbbells. The rubber initially gives off an odour but this goes after several days. 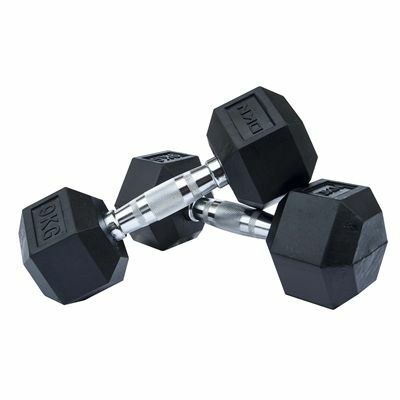 First weights I’ve ever bought and was guided in what to look for by a personal trainer. They seem really good quality for the price. I’ll definitely purchase more from the same range. 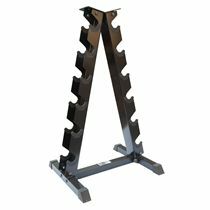 I this is the third time I’ve used this company the delivery of this product was very efficient and securely packed weights are very good quality and well priced and free delivery using this company for sports equipment is a no brainer definitely recommend it. 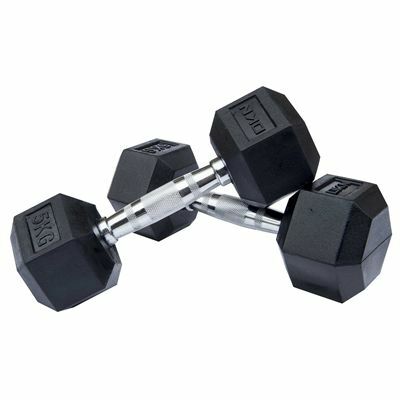 The quality of these dumbbells are very good, a good grip and no roll when you put them down due to the shape. Just right weight to tone up with good quality. 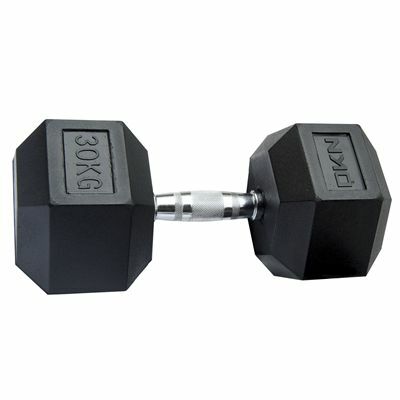 Bought nearly every weight up to 10kg over the past years. Brilliant weight strong and stable If you are using them to balance on. Highly recommended and 1st class service from sweatband. 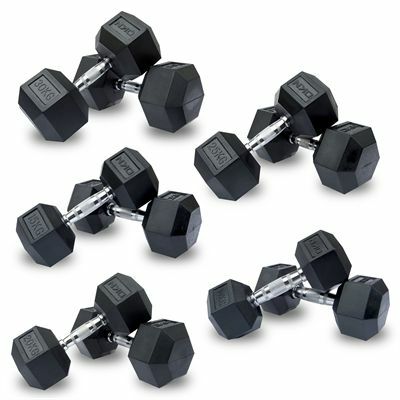 To be Fair I have ordered five sets of DKN dumbbells and all in very good condition only last 2 sets ordered have been a problem I.e going gray 9&10kgs. 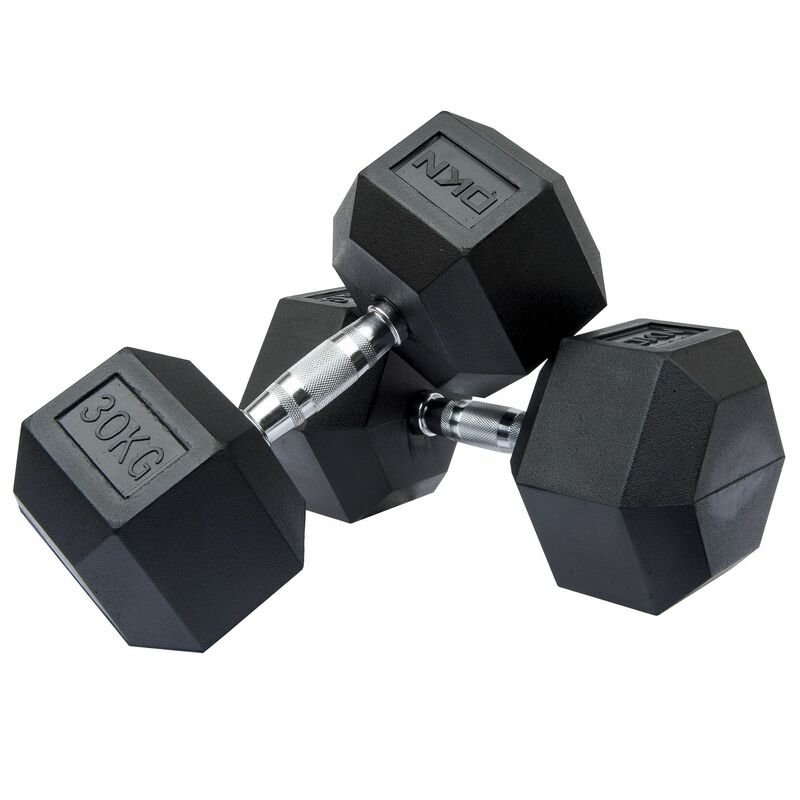 Last 2 set of dkn dumbbells I ordered one was good the 2nd one was going grey that was a 2x10kg & 2x9kg cannot get them back to black costs to much to return I was going to order a2x17.5 set but not now. 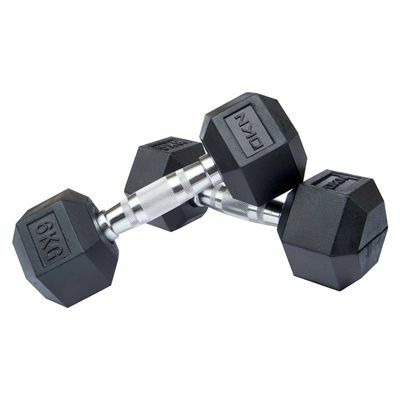 I love these dumbbells and have now ordered a couple of pairs through Sweatband. 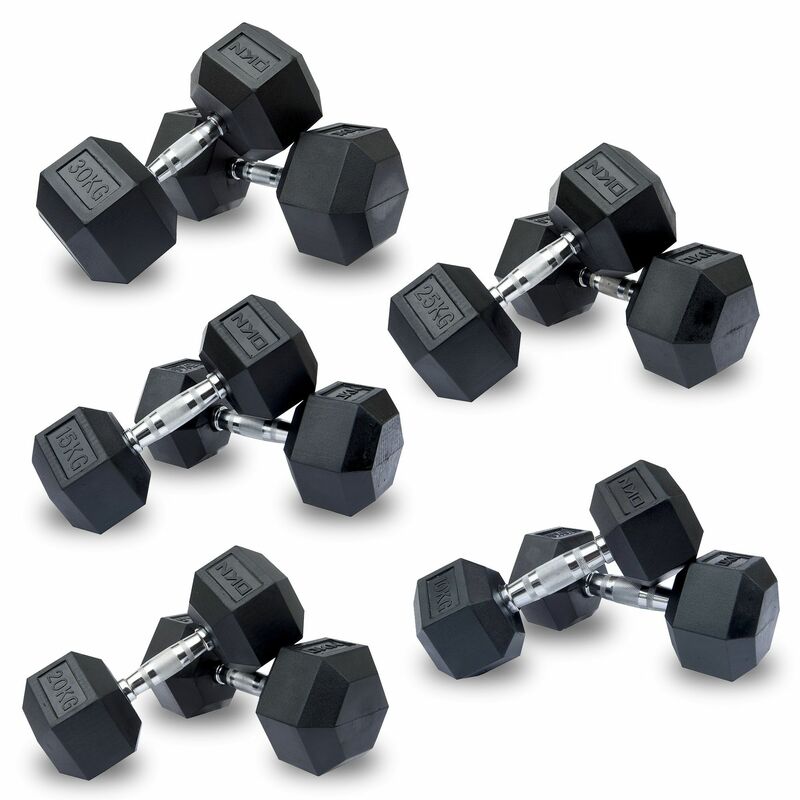 The dumbbells are a very high quality and the service from Sweatband has been fantastic with all my orders. 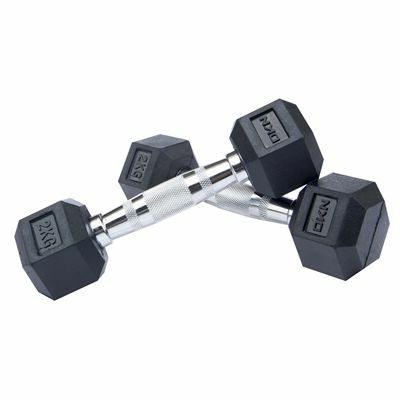 These Dumbbells are of very good quality hexagonal shape stops them rolling away they are as good as the ones i use in the gym they are comfortable to handle and were a good price compared to some I've looked at. Second set of dumbells ordered,as previous ones arrived quickly,sweatband kept their first class service by delivering these just as fast arrived well secured and in good condition dkn dumbells are very good quality as good as ones i use in the gym. 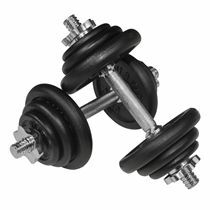 What brilliant service ordered on Friday lunchtime emailed that items would be delivered Monday arrived Saturday midday now that's what I call service will definitely be using this company again Dumbbells just what I needed arrived in first class condition well done Sweatband. 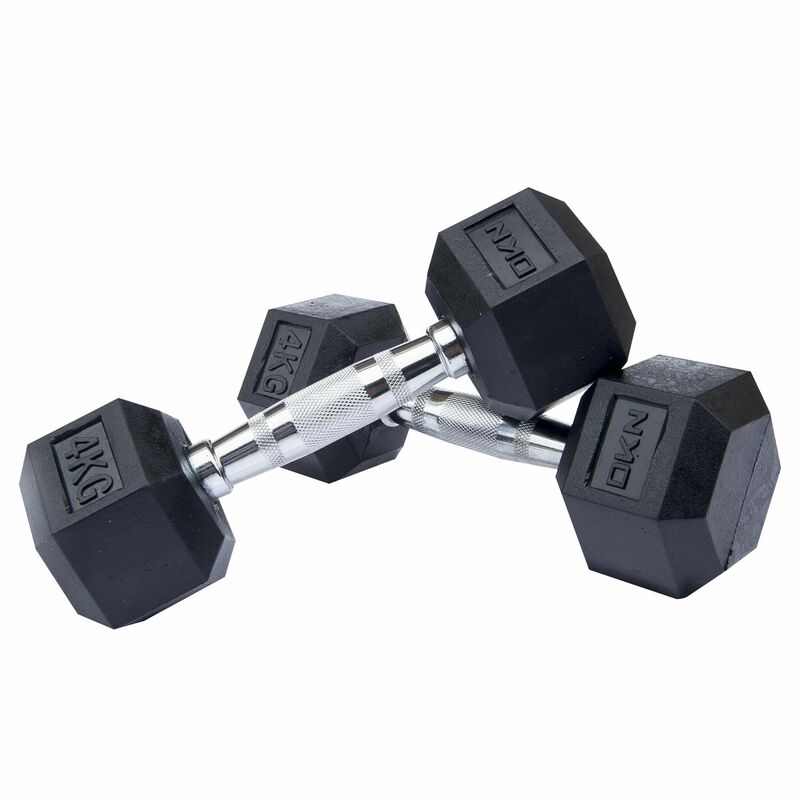 for submitting product review about DKN Rubber Hex Dumbbells.